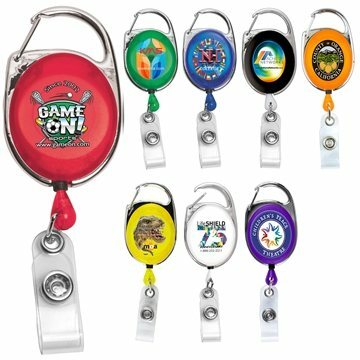 30" Cord Retractable Carabiner Style Badge Reel and Badge Holder﻿. High Quality. Lot's of insight into the progress of order. Will definitely use this vendor again for our company needs. The whole order process and choosing the colors was easy and placing the order went very smooth. Excellent product for the price. This is an excellent item.